This can be called a Fab Assist in which the raspberry pi will be communicating with other boards using serial communication. We will be using the google API to function it like google home. The idea of this project is to develop assistant based on google API. 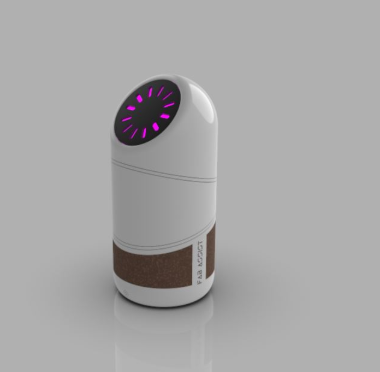 It is a smart speaker with some dancing and lighting features. The brain for processing the audio output will be a raspberry pi zero. Custom boards will be added for servo movement and light features. This can be called a Fab Assist in which the raspberry pi will be communicating with other boards using serial communication.I’ll be using the google API to function it like google home. different forms of the design have been tested and a small “banana stems” has been chosen because it has a nice cylindrical shape, it was readily available and easy to modify the shape.